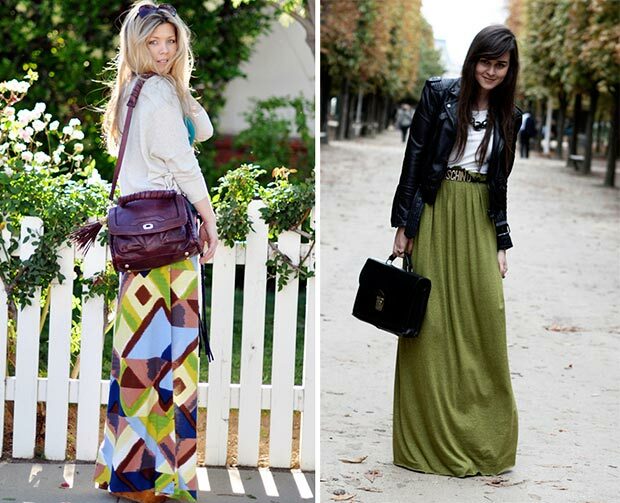 Maxi skirts have unmistakably struck the right chord of fashion with their easy breezy design. 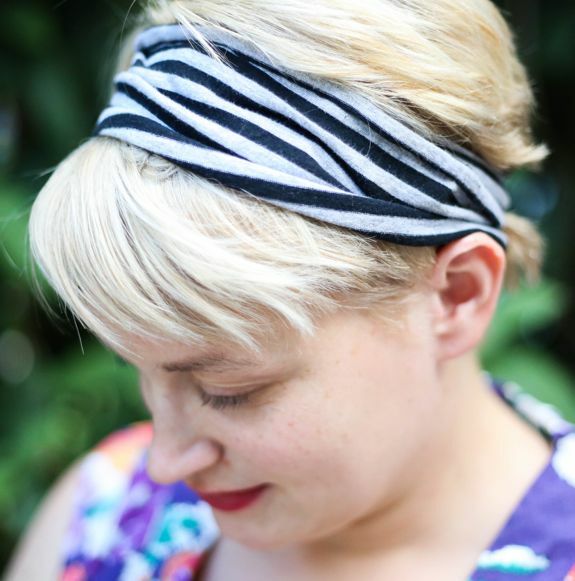 By concealing problem zones like waist, tummy, and thighs, they give you a well-toned look. 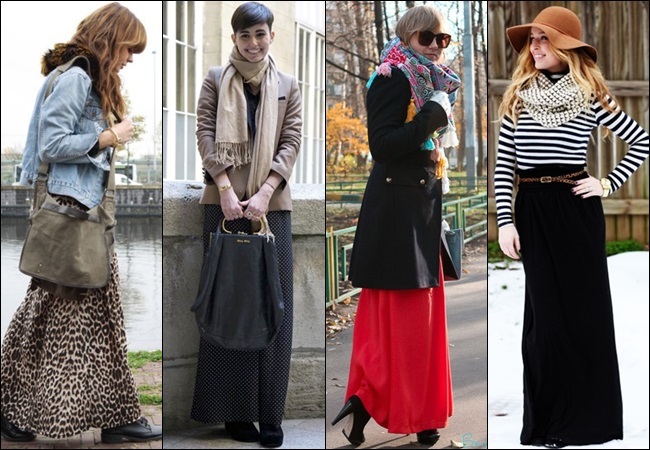 Here’s how to style your long skirts for all seasons and occasions. Black long skirts with colored tops: For a voluminous look, team up a flowy black skirt with a well-fitted top. This is a good option for pear-shaped and plus size women, giving an appearance of a balanced figure. Slit maxi skirts with one shoulder tops also make an eye-catching look. You may keep a simple appearance or complement the look with a pair of dangler earrings and a statement neckpiece. Chiffon pleated skirts with t-shirts: Wear a chiffon pleated skirt and tuck in a t-shirt for a cool appearance. This light and comfortable skirt can be ideal for pregnant women. Bodycon maxi skirt dresses: Turn a maxi skirt into an off-shoulder dress by pulling up the elasticized waistline up to your desired length. For a bohemian look, tie up the skirt and wear a pair of gladiator sandals. Sheer skirts with crop tops: These come with a peek-a-boo effect, highlighting your playful mood. Wear with crop tops and sleek pieces of jewelry. You may also team up a coral slit skirt with a white tank top or a sleeveless shirt. Don’t forget to wear a belt. Such casual outfits are perfect for spring as well. Skirts with jackets: The uneven edges of a high-low maxi skirt outfit offer an elongated appearance, hence is perfect for curvy and short women. Pair up with blazers and jackets. Try out your denim jacket with a Jersey skirt for an avant-garde look. 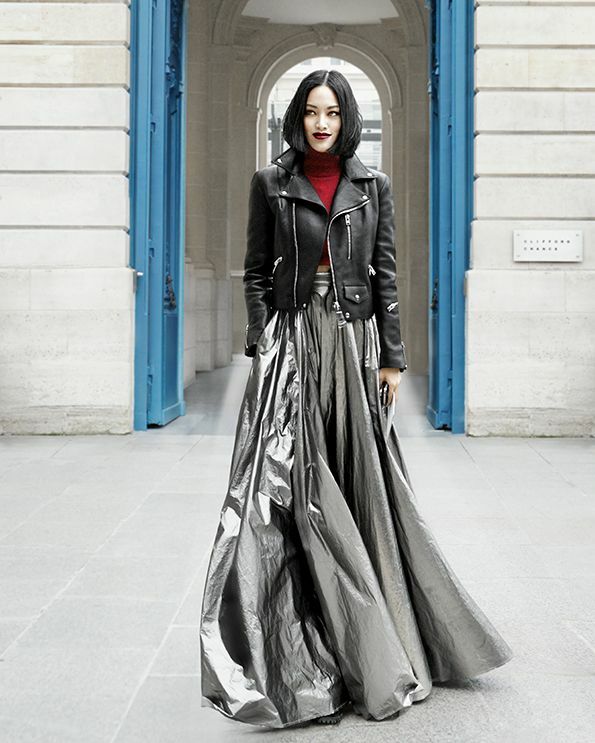 For an edgy look, you can team up a gray skirt with a leather jacket. 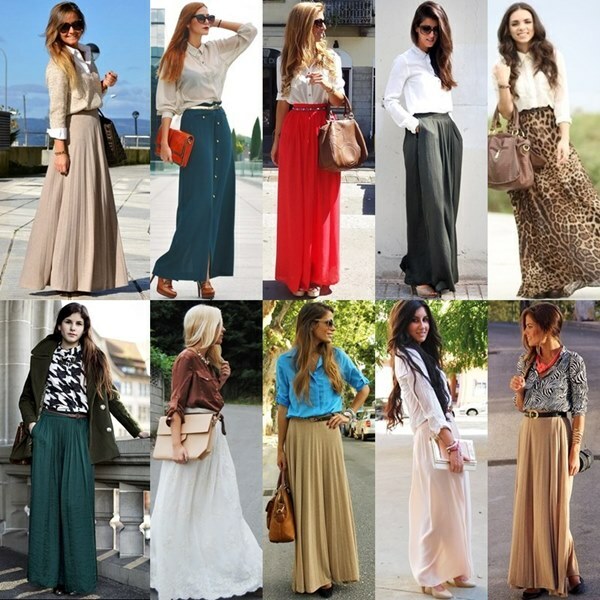 Try out olive green skirts (plain or printed) with a full sleeve white top for a soothing and feminine look. Even during fall, you can follow the style to stay warm and stylish. 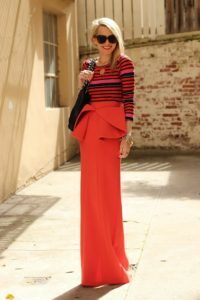 Peplum skirts with full sleeve tops: A red peplum maxi skirt and a full sleeve top is a fantastic combination for ladies with a toned figure. Keep your top and makeup simple and let the skirt draw all the attention. Shoes to wear: Anything to your heart content. 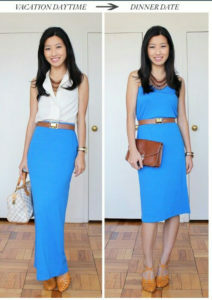 Maxi skirts with shirts- Tucked in shirts with maxi skirts create an ideal style statement for going to work. Once in a while, you can team it up with a jacket too. Floor kissing maxi skirts that cover the feet completely is ideal for very tall ladies as they subdue the height. Petite women should try skirts ending just above the ankle for a taller appearance. Choose monochromic chevron maxi skirts to appear taller. 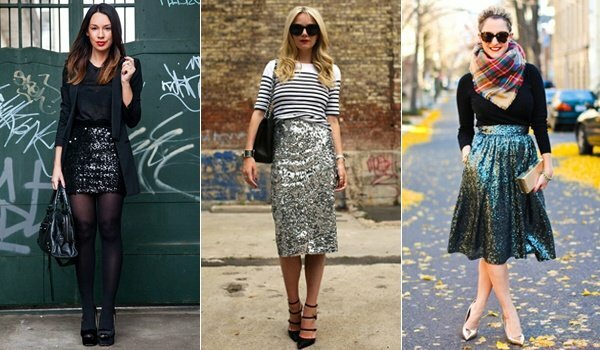 Select simple tops for sequin maxi skirts for a nice contrast. Cover your rounded tummy by wearing the skirt from above the midriff. For an offbeat look, discard your heels and go for a pair of sneakers with long skirts. Elegant maxi skirts are an all-in-one package for ladies, so wear them according to the purpose and stun everyone around you.